Tell me about in-proportionate dressing at this transeasonal point in time. 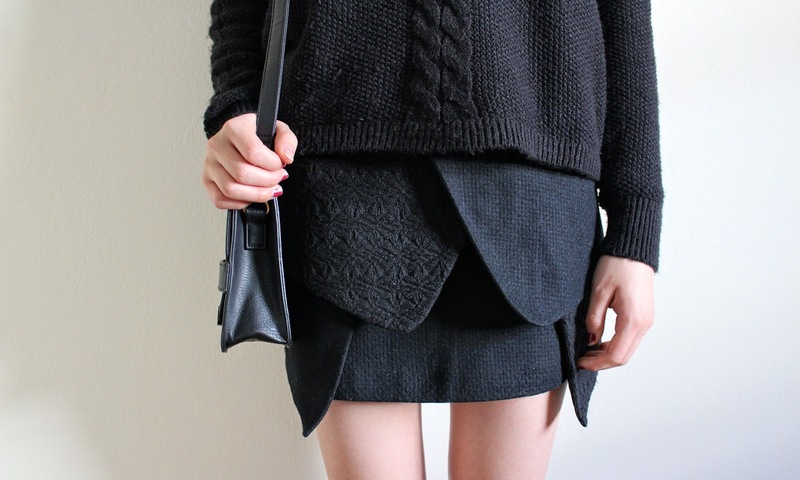 I am surely savouring the last days of autumn wearing mini skirts.. with a chunky knit and oversized coat to justify the outfit. I like to dress transeasonal for as long as the weather lets me before switching on the hibernation mode. Until I remember that the Australian winter doesn't start until June, thicker material skirts - scuba, neoprene and tweed is were it's at. We're all aware that Melbourne gives us no choice but to be transeasonal every day in fight-or-flight mode for the 4 seasons in one day phenomena. Something which I secretly love.. What's better than exposing a bit of leg under an all-encompassing coat and open-toe action whilst snuggling up in a favourite knit. Perfect outfit! 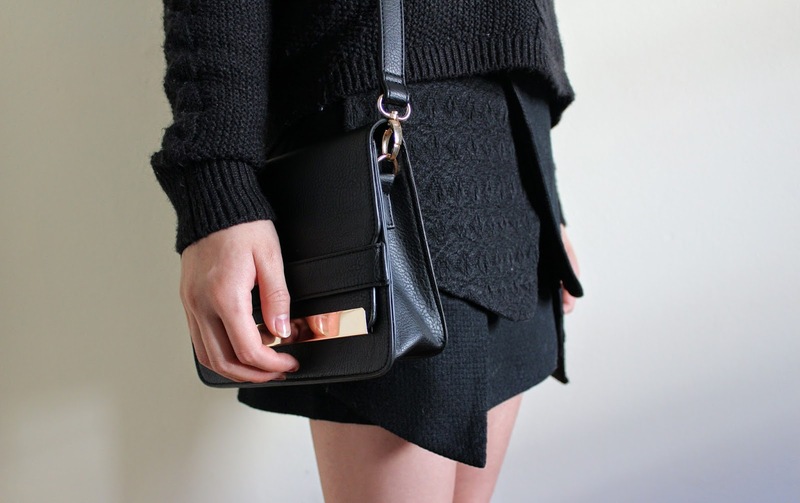 Love the metal detailing on the bag! © Feiven Fan. Design by MangoBlogs.